What is the difference between zakat, shadaqa and awqaf? Zakat is an obligatory charity. It refers to the determined share of wealth prescribe by Allah to be distributed restricly among deserving categories. Zakat is growth and increse from the lingustic meaning. When it is applied regarding a person, it means to improve or to be become better. Shadaqa is a non-obligatory charity, it traditionally to be used for any voluntary charitable donation given to others. While awqaf or waqaf means to make an endowment and to spend the income for the public welfare while keeping the original property itself under trusted custody or guardianship. What is the difference betwween hajj and umra? First, hajj is the fifth pillar of Islam, and it is mandatory for everyone who is physically and financially able to perform it once in a lifetime. Umrah is not a pillar of Islam and it is only recommended and not obligatory. For the second, hajj must be performed in the prescribed time period, namely the months of Hajj, and even more specifically, the major rites are done in the first two weeks of Dzulhijjah. Umra, however, can be done any time of the year. Finally, Umra involves only the rites of Tawaf and Sa`i with ihram; whereas Hajj involves staying in Mina, performing the rite of wuquf (standing) in the plains of `Arafat, staying in Muzdalifah, and pelting the stone pillars, as well as sacrifice in some cases. Umra, however, does not involve any of these. What is the difference between qurban and aqeeqah? Qurban and aqeeqah are somewhat similar ritual in terms of sacrifice, but there are some differences. Aqeeqah, while it is higly recommended practice by the Islamic law, is done only one in a life time of an individual as a celebration of the birth of new born child. The Prophet (peace and blessings be upon him), said, “Every new born baby is in pledge for his aqeeqah, a sacrifice is made for him on the seventh day, his head is shaved and he (or she) is given a name” (Abu Dawood). Aqeeqah involves the sacrifice of two animal (sheep or goat) for a boy and one for a girl, with a portion of the meat to be distributed to the poor and needy. Whereas Qurban is strongly encourage to be performed every year during Eidul Adha, depending upon eligibility of individual. Does Dompet Dhuafa Australia receive a financial audit? At the end of every fiscal year, July 1 to June 30, Dompet Dhuafa Australia receives a financial audit from a third independent party to reflect the amount of funds collected and the manner by which those funds were allocated to different programs, fundraising and management. How does Dompet Dhuafa Australia send funds overseas? Dompet Dhuafa Australia establishes partnerships and regional representatives in the countries where we work. Through these network, Dompet Dhuafa Australia performs fund transfers and monitors its use to ensure that collected funds are securely received and used for their intended purposes. Is Dompet Dhuafa Australia a trustworthy organisation? At Dompet Dhuafa Australia, we believe that every resource entrusted to us is a sacred trust with the Creator and our donors. Therefore, stewardship is a very important part of our work. Dompet Dhuafa Australia is committed to financial transparency. We are careful to use donated funds and resources as they are intended and we carefully monitor and assess programs. Dompet Dhuafa Australia invites you to view our Annual Reports to become familiar with how our funds have been allocated over the last several years. How does Dompet Dhuafa Australia keeps its overhead so low? Dompet Dhuafa Australia ensures low overhead costs by maintaining a small staff at our Sydney-based area while working with partners and representatives at other states, headquarter and regional offices abroad. How much of my donation will go towards administration costs/overhead? Dompet Dhuafa Australia’s Programs are divided into those which donations are contributed in their entirety and those from which overhead is taken from donations for administrative function. For the 2013 fiscal year, Dompet Dhuafa Australia’s overhead cost was 12,5%. View our past Annual Reports. Administrative costs are taken out of Zakat funds as according to the Quran and Sunnah. You can, however, give your Zakat and designate in its entirety to a certain program. Where can I find frequently asked questions about donating? Frequently asked questions about donating can be found on our Donations FAQ page. How else can I contribute if I cannot donate money? At Dompet Dhuafa Australia, we can always use your help. From help spreading the word on our programs to assisting with various tasks. Please visit the Get Involed page to learn more about volunteering with Dompet Dhuafa Australia. What volunteer opportunities are available at Dompet Dhuafa Australia? Dompet Dhuafa Australia values the selfless works performed by volunteers. For more information on how you can become a Dompet Dhuafa Australia volunteer, please visit our Interns and Volunteers page. How do I apply for a position at Dompet Dhuafa Australia? For available job opportunities, please visit Work with us page. In which countries does Dompet Dhuafa Australia work? Dompet Dhuafa Australia currently works in more than 35 countries around the world. For more information, please visit Where We Work. Dompet Dhuafa Australia does not sell, share, or trade donor names nor contact information with any third party advertisers/commercial interests. All donations are treated as confidential except for Aqeeqah and Sadaqa Jariyah as donors can request to dedicate those projects by name on behalf of a newborn child or loved one. Dompet Dhuafa Australia does not keep copies of information above what is required. Only a limited number of staff have access to any donor information and must be approved by the executive director. How do I request to NOT receive a paper receipt? At the conclusion of the online donation page, there is a box to check if you choose not to receive a paper receipt. You can also call our office to stop your paper receipts. Are donations made to Dompet Dhuafa Australia tax-deductible? 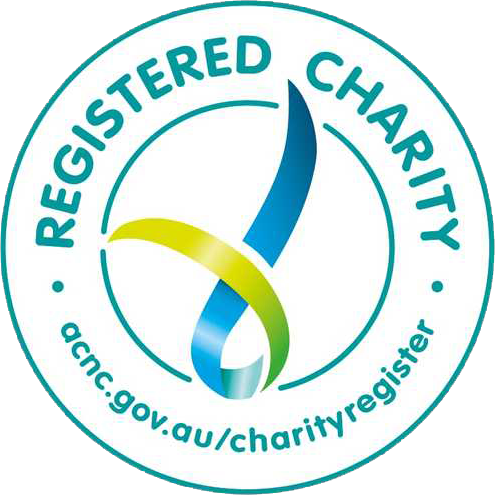 Yes, Dompet Dhuafa Australia is recognized and registered under 501 (c) (3) as a non-profit charity organization; therefore all donations donated to Dompet Dhuafa Australia are tax exempt. I made a donation but my account was not billed. What should I do? If you have made a donation and found that you have not been billed, please mail to supporter@dompetdhuafa.org.au and we will personally check on the condition of you donating and answer any questions that you may have. How can I donate goods besides cash? At this moment, due to the lack of storage, Dompet Dhuafa Australia can not accepts some in-kind donations. But sometime our volunteers manage a garage sale event to raise fund. At that time we could accept your stuffs. For more information, visit Get Involved page. Is it safe to donate online with my credit card? Yes, Dompet Dhuafa Australia’s donation site is secured by Authorize.net. The seal found below ensures that we are using secure credit card processing. Click on the Authorize.net seal for more information. What are Dompet Dhuafa Australia’s General Assistance Funds? Who do these Funds benefit? Orphan and Widow Assistance Fund – Through our Orphan and Widow Assistance Fund, donors can support the education and skill training endeavors of orphans and widows in the needy communities where we work. Donations can also go towards emergency food package relief if called for by the situation. Family Assistance Fund – Though Dompet Dhuafa Australia’s Family Assistance program, poor and needy families in Australia and abroad may receive food packages, clothing, education support for children, medicine and/or microcredit loans to promote self-sufficiency. Scholarship Assistance Fund – Dompet Dhuafa Australia believes that education is the hope for the future. Through our Scholarship assistance program, impoverished school children and needy university students around the world are given the means to excel in their studies so that they may change their social condition and contribute back to their communities. What is Dompet Dhuafa Australia’s General Sadaqa Fund and whom does this fund benefit? The General Sadaqa Fund is similar to the “Where Needed Most” donation option. This allows Dompet Dhuafa Australia to have a fund reserve to establish new programs and to support and maintain some of our older projects. The General Sadaqa Fund also serves as an emergency fund for all campaigns, including Emergency Relief, Development/Sadaqa Jariyah and Orphan/Orphange.